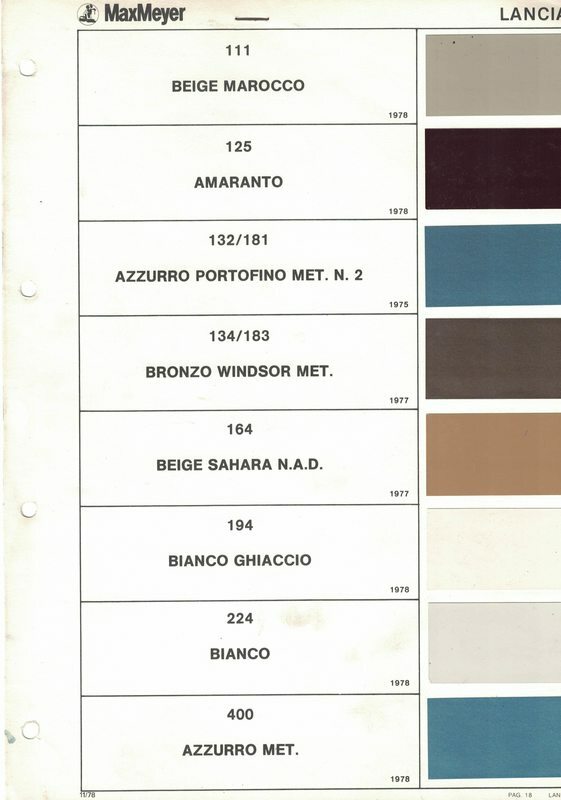 First, factory build records list the original color of the exterior and interior of the car. 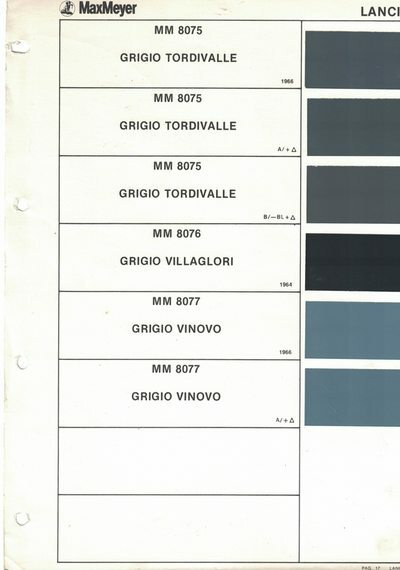 However, these are available only from Fiat Centro Storico or sometimes from the Aurelia Registro. 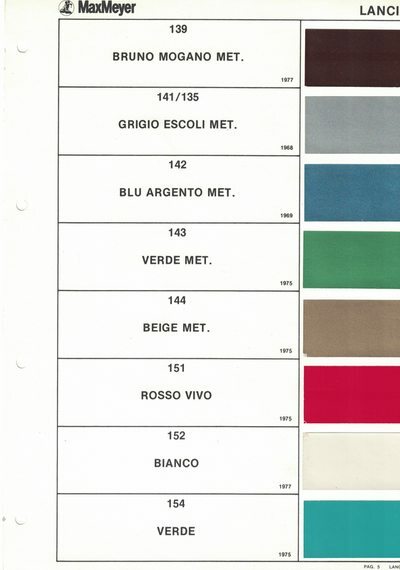 Fiat has advertized their willingness to share (for a small fee), but recently stopped. 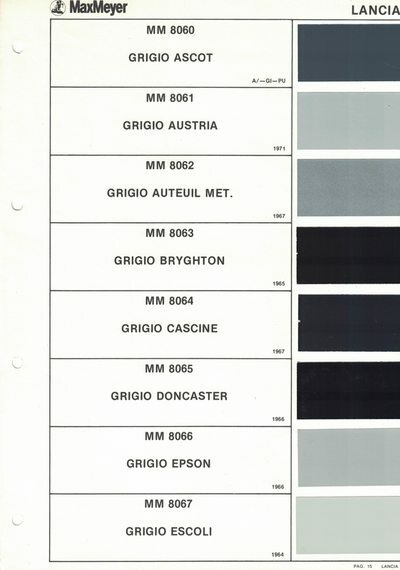 Even if you find this, however, the info will be vague: grey will be listed as grigio, without further detail. 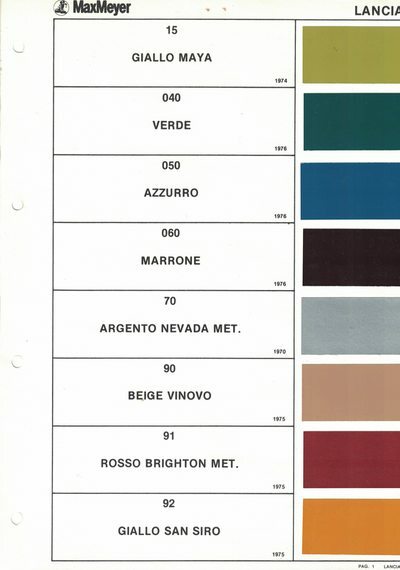 And the interior might only be the color, not the material. There are additional sources. 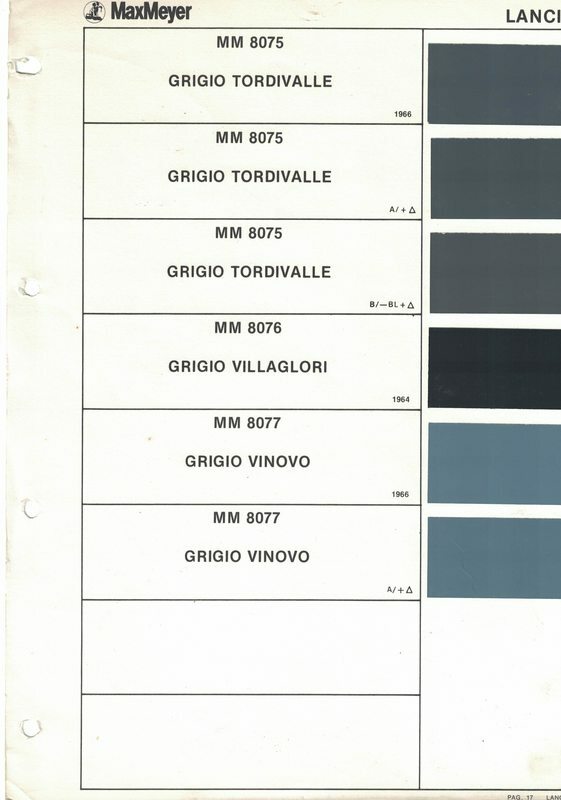 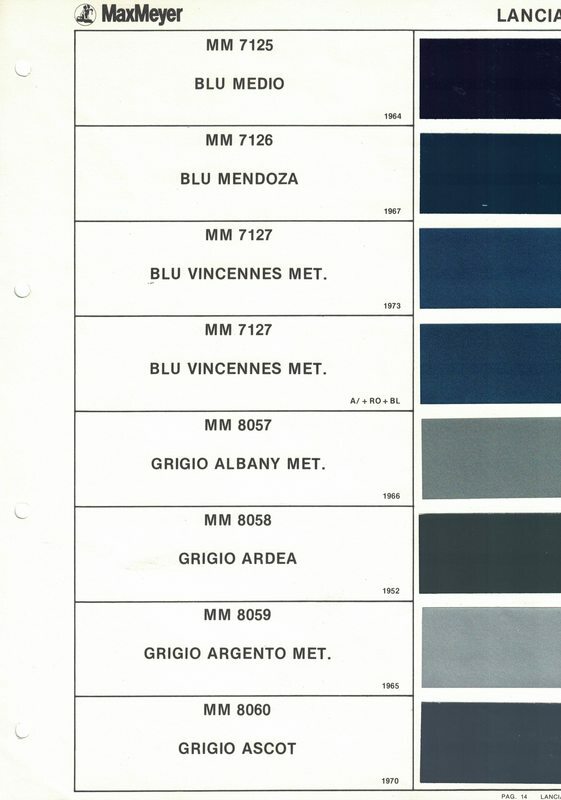 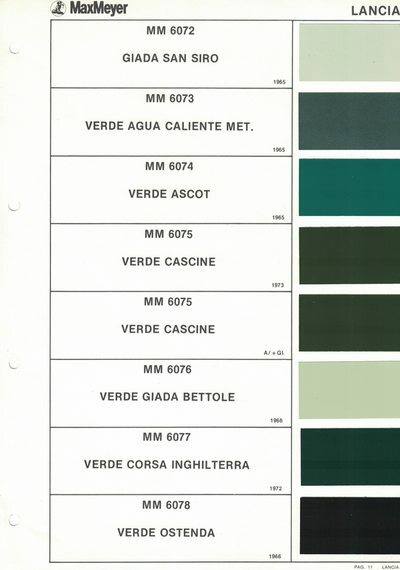 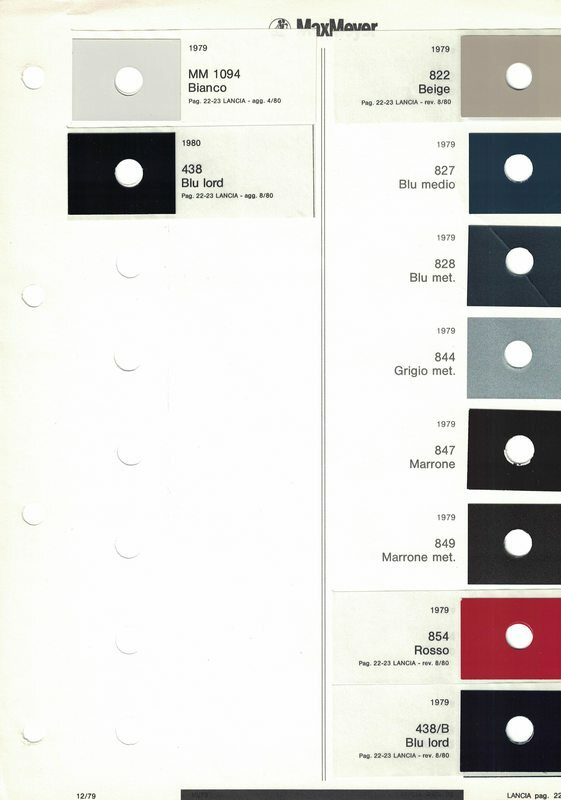 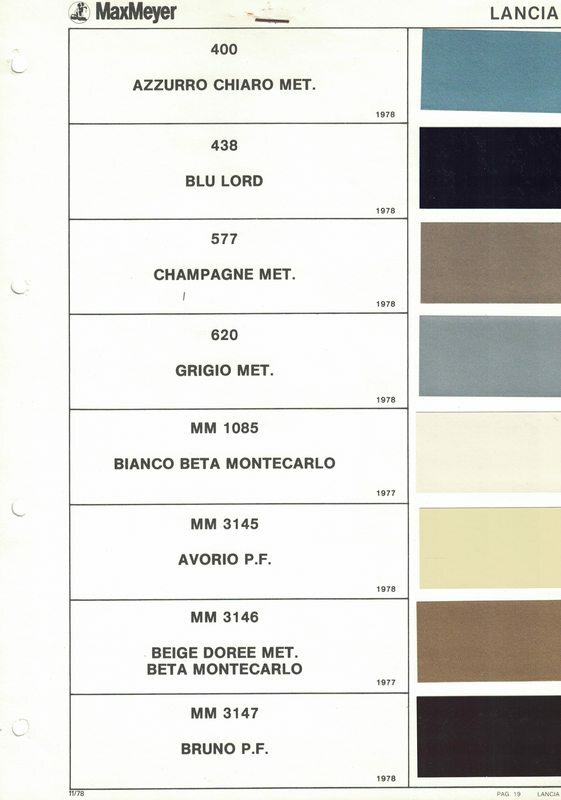 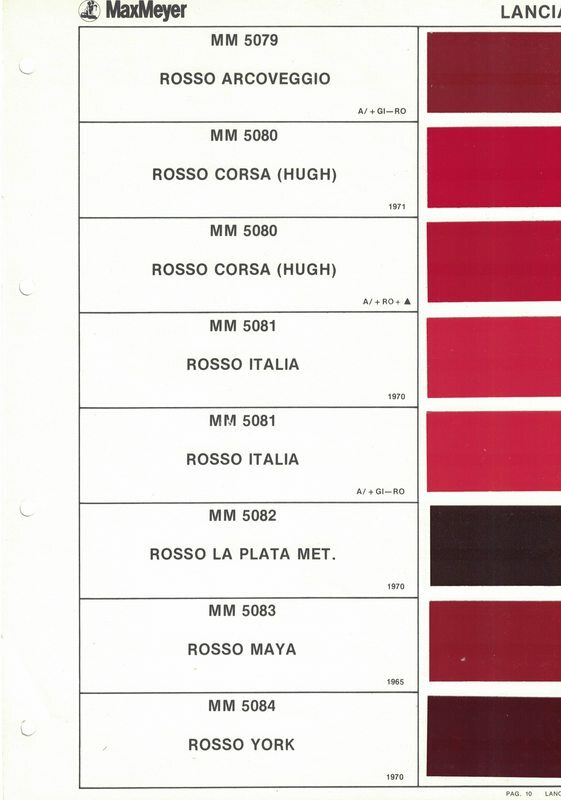 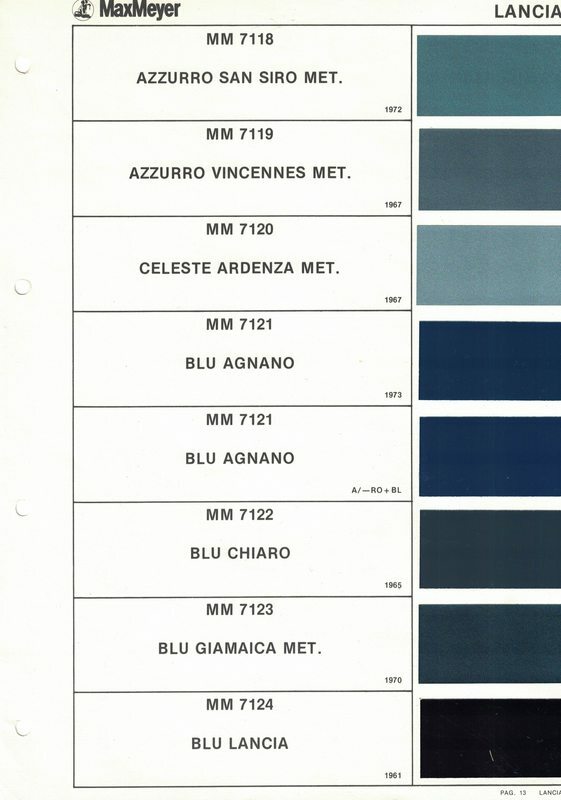 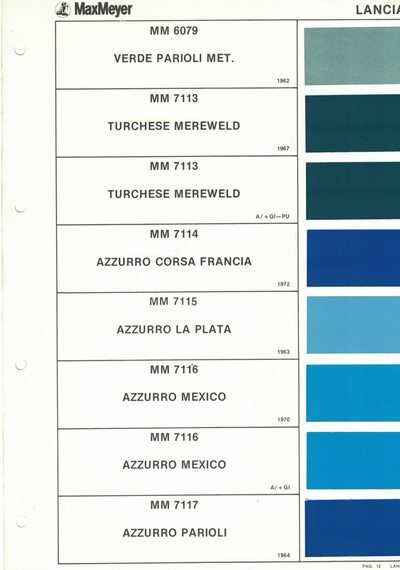 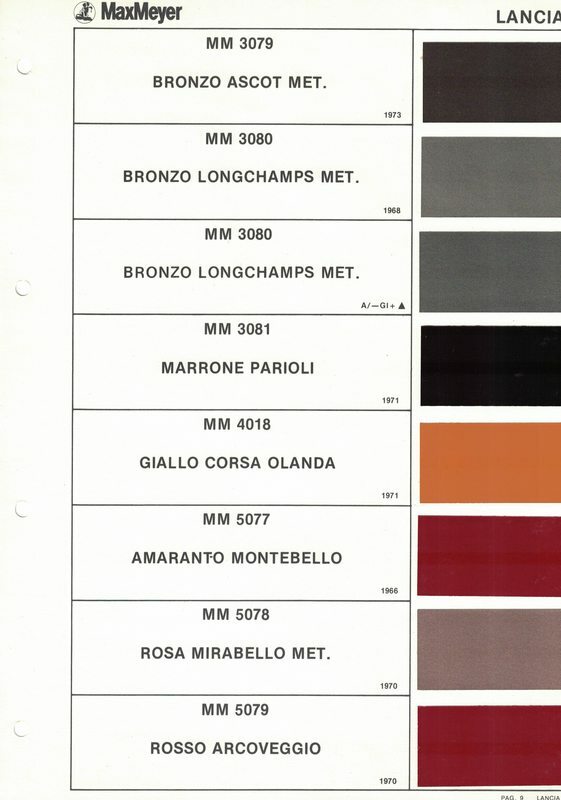 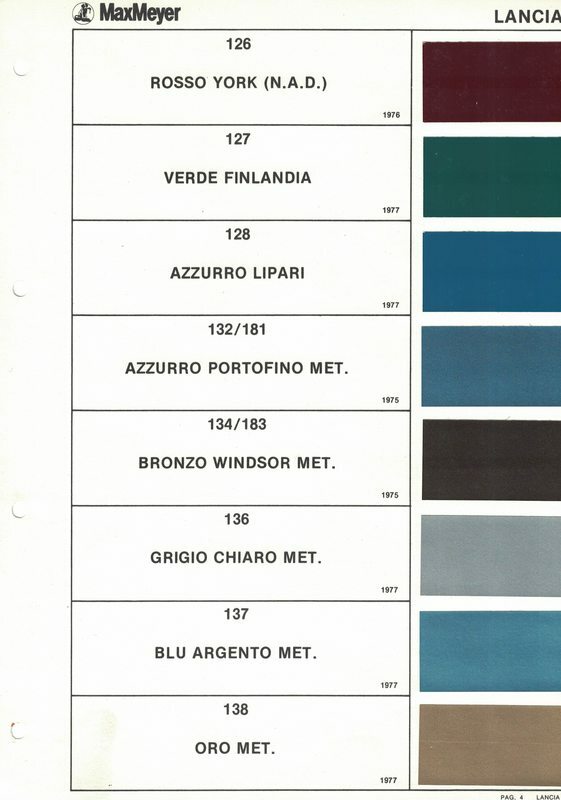 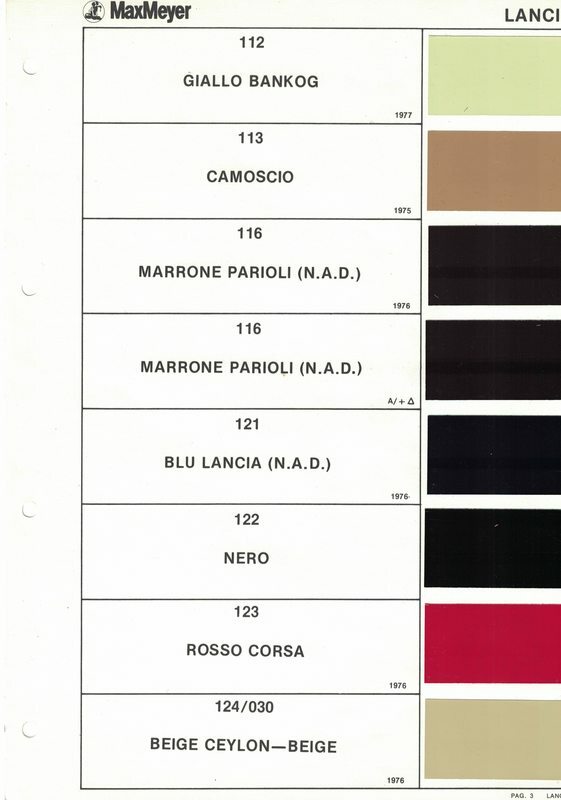 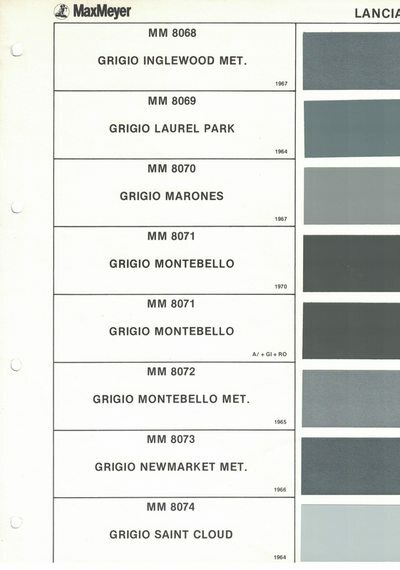 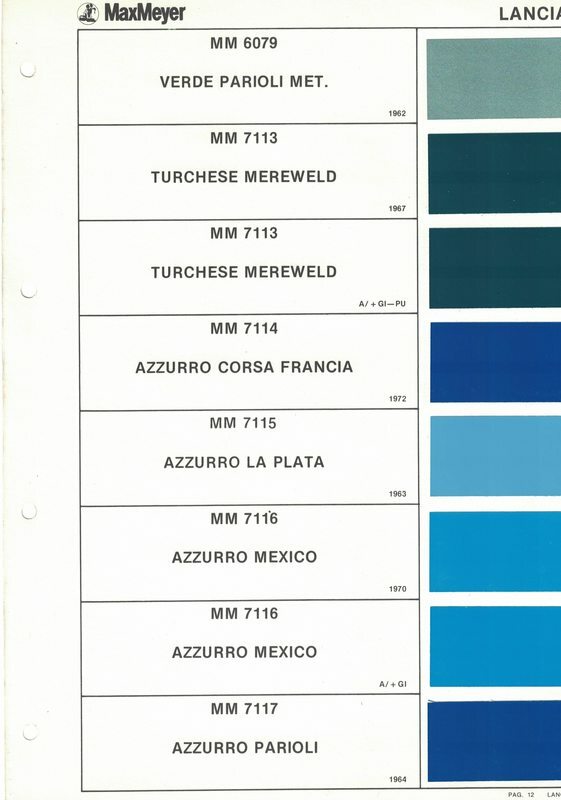 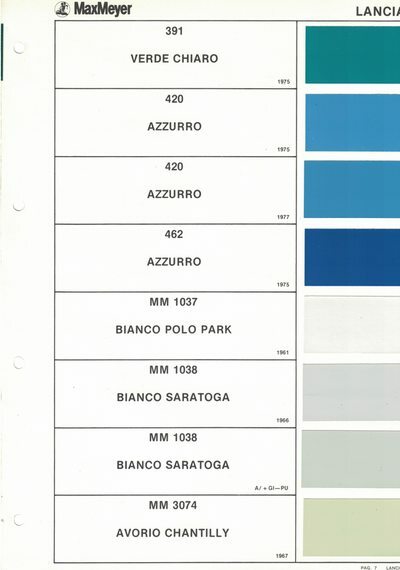 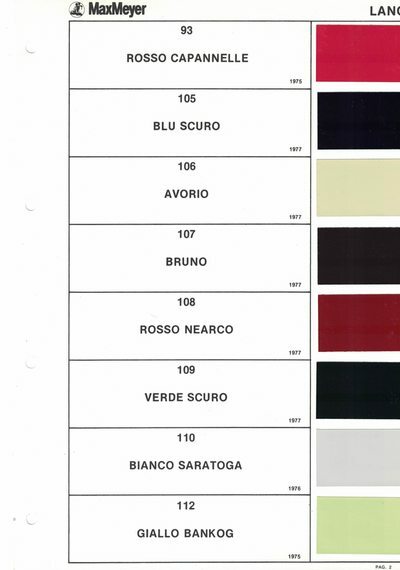 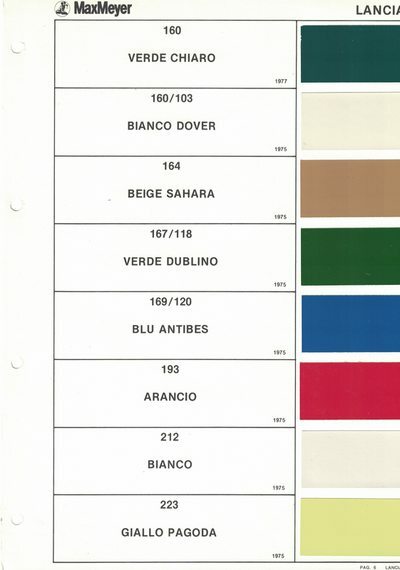 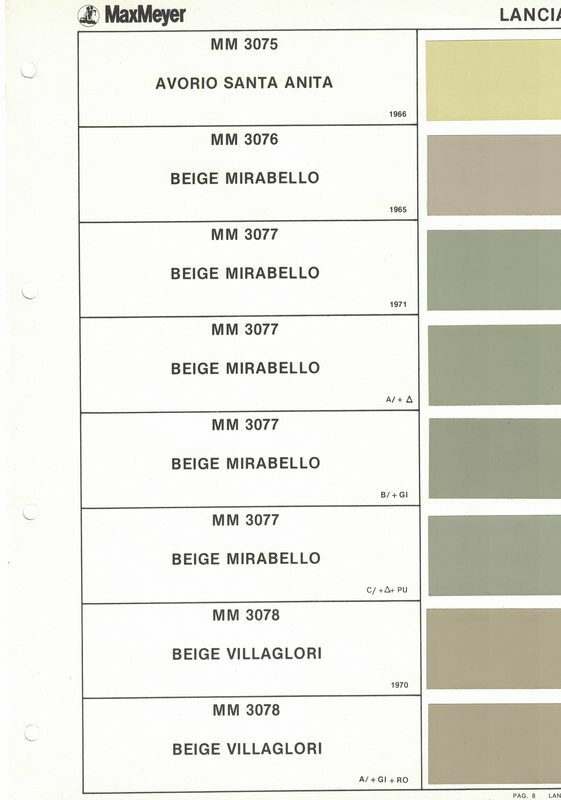 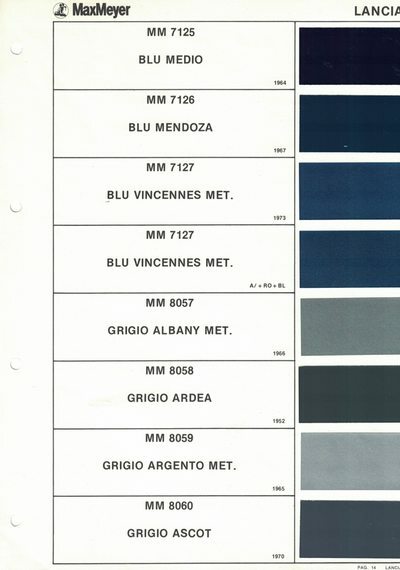 In paint colors, in the early 1990s Lechler provided a chart going from original vintage Lancia colors to a current paint number. 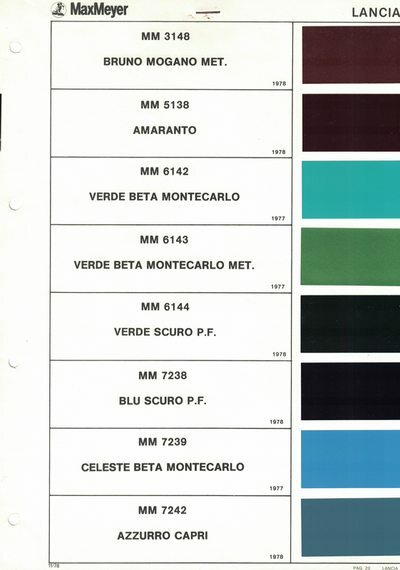 They also have an extensive on-line resource capability. 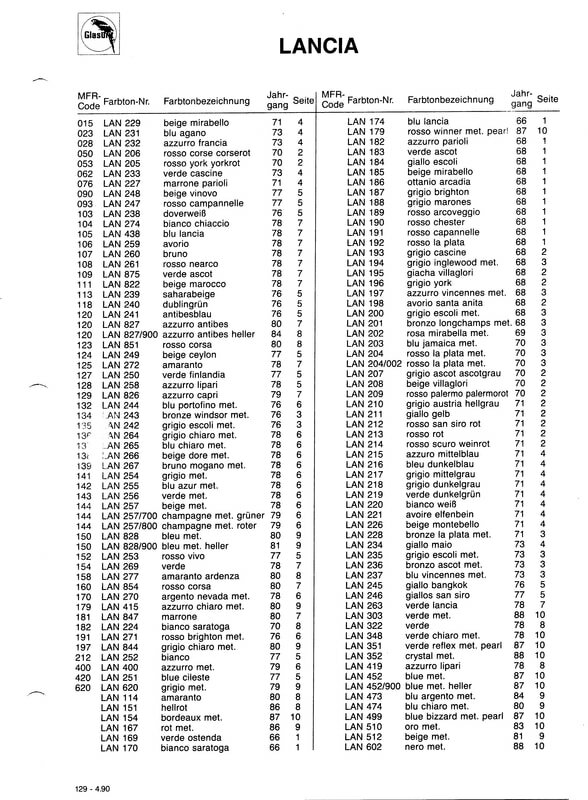 To my knowledge, they are the only ones who have published that information. Meyer was the original paint (largely) and their published codes are listed below. 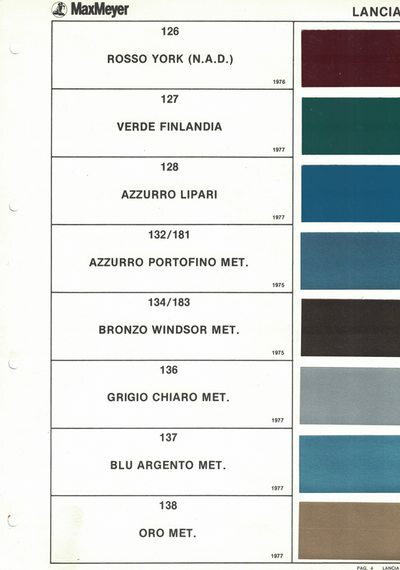 They may be available in Italy, but I know of no cross index from Meyer to other paint systems. 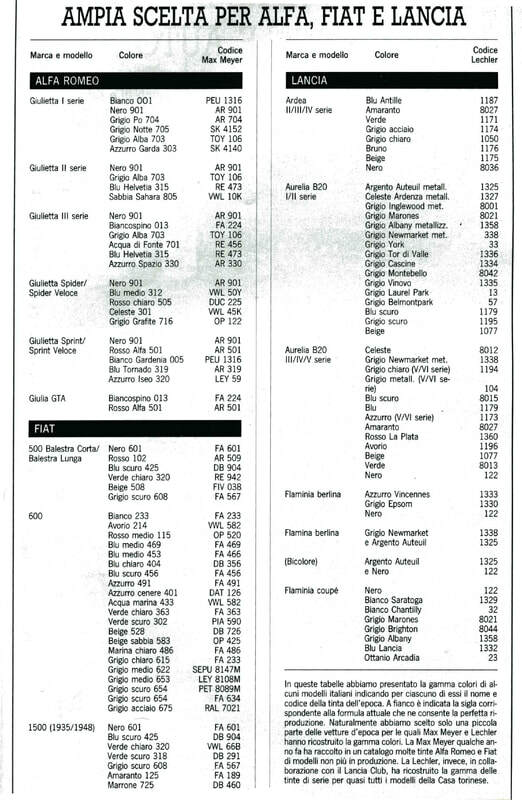 Finally, Glasurit listed some Lancia paint codes, although you have to pick the right one, as Lancia's listing was done around Meyer. On the interior, color is one thing, material is another. 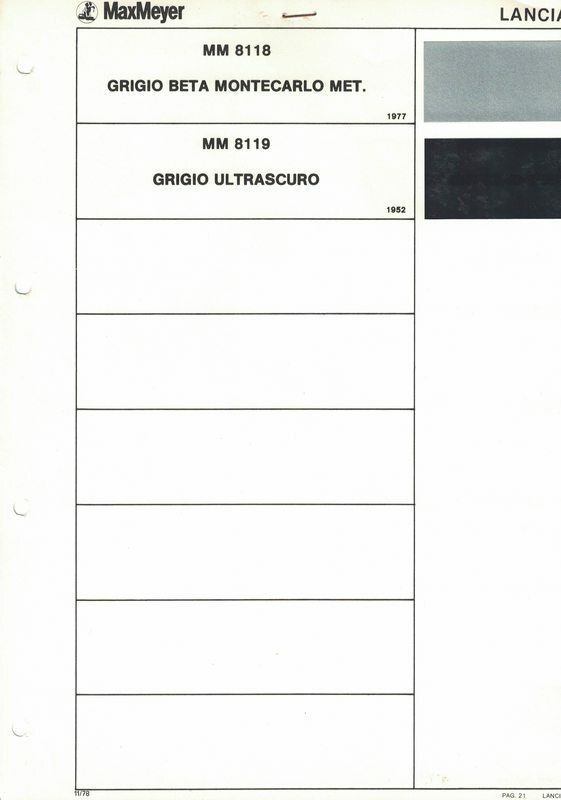 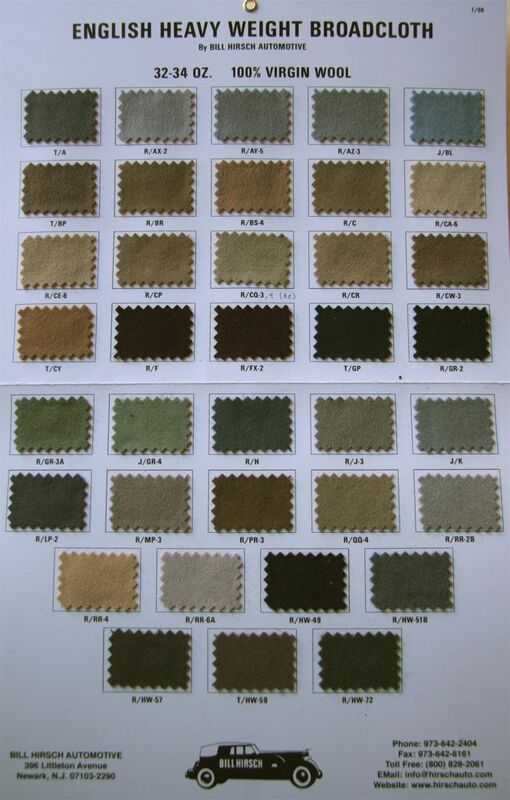 For cloth interiors, Trinchero in Italy is a proper source, their pdf is below. 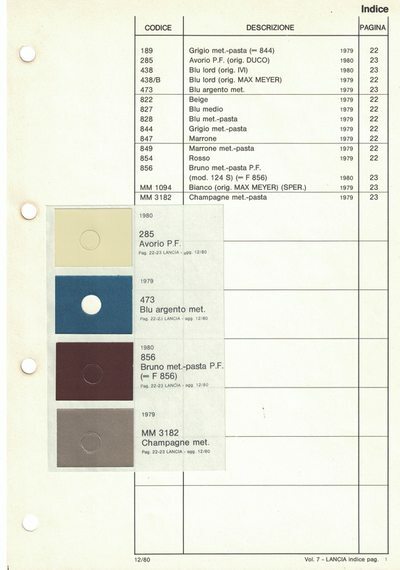 I've also used Hirsch's West of England wool which is very close to the original and comes in a broad variety of colors - shown below.For Spiders, some interiors may have been in vinyl, others leather. At one time the vinyl material was found in Torino; consult the Aurelia Registro, Omicron or Thornley Kelham in England; possibly others in Germany and the Netherlands. 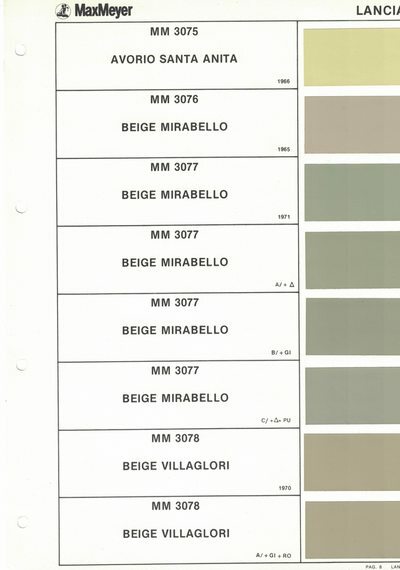 Please enjoy the material shown below. Lechler's list from 1991 on current paint codes for Lancias.